President of the Eden Musée, an amusement house and musical theatre on New York's twenty-third street. The Eden Musée was founded in 1883 in imitation of London's Madame Tussaud's waxworks, and in the 1890s was run by Englishman Richard G. Hollaman, who first introduced moving pictures as an attraction at the Musée by installing Charles Chinnock's imitation Kinetoscopes in 1895. Moving pictures on a screen came via the Lumière Cinématographe on 18 December 1896. Making a logical step from waxworks of the famous to moving images of the same, the Eden Musée became the pre-eminent showcase for the new art in America. The Musee turned for a short while to the Cinematographe Joly, a machine operated by Eberhard Schneider, but after a fire in June 1897 Hollaman booked the Lumière machine once more, while getting engineer Frank Cannock to construct a projector specifically for the Musee's use. This was installed by August 1897, with the peripatetic Edwin S. Porter assisting in its operation at this time. Hollaman's most notable foray into film came after he failed to acquire the Horitz Passion Play (a mixture of film, slides, music and lectures based on a passion play performed in an Austrian village) in late 1897, the rights being purchased by theatrical producers Klaw and Erlanger. Hollaman, having see the Horitz film and feeling that he could do better, decided to produce a film version of the Oberammergau passion play, though his text was an old play by Salmi Morse and the resultant film, photographed on the roof of the Grand Central Palace, Lexington Avenue, by William Paley, bore little relation to its supposed source. The eventual film starred Frank Russell as Christ and was 'directed' by Henry C. Vincent, though stage director Vincent had no conception of moving pictures, was not about to be told his own business, and Paley and the company had to make the film in his unwitting absence. 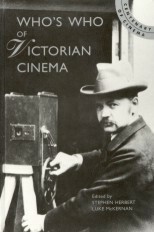 The finished film lasted twenty minutes (narration, musical interludes and possibly slides were added to extend the programme) and was given a press showing on 28 January 1898. The Passion Play of Oberammergau proved very popular, even when the Oberammergau claims were exposed, being praised and commended by clergy and running twice daily for three months. Versions of the production then toured the country. 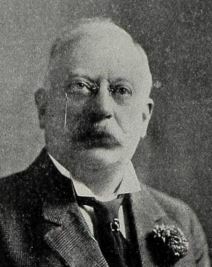 Edwin S. Porter rejoined the staff of the Musée at this time as William Paley's films of the Spanish-American war supplanted the Passion Play. The Musée offered a kind of proto-news service, arranging its war films in chronological order, evewntually adding a new film a day to the programme, and in October 1898, as interest in the war was waning, combining film, music and sound effects into a combined Panorama of the War. The Eden Musée's assocation with film diminished as the medium grew wings, but as Charles Musser has demonstrated, its story shows the vital creative function of the exhibitor at this period in film history.